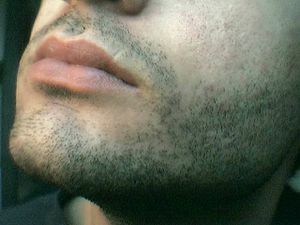 At the outset a suggestion that 68% of women don’t like a stubble looks downright offensive and snobbish of a feminist group or a seemingly selfish approach by a company who want to quote a research to just use of stun-gun tactics for promotion of a product. And what better than to impress the male chauvinistic spirit that a stubble can be a turn-off. Ridiculous as it may sound, it did stun me, so it worked. Agreed, it is probably unfair on the ladies that they plan and put in so much effort to look nice and charming … and smelly, and you turn up in your usual rugged manner. The sense of occasion, if any, does not matter. You can’t blame her if she protests once in a while when she cannot make you change your habit. In my case, Well, I just think my friends and family are showering his/her love when they say, “I hate that stubble” once in a while. Quite obviously men who keep stubbles have a reason to do so or they have it because they don’t care for the woman of their life and her feelings. That is, if they have any. I have one reason for keeping the stubble, but I made up another because I cannot cite the first one. And I have another reason to justify why I will not be bothered about my stubble in the future too. You see, I have the stubble because I am too lazy and my stubble is hard on my skin. Not worth the pain and effort every other day. But I was smart. About the time I started having it early in my teens came out the movie, “Maine Pyar Kiya“, in which debutant hero Salman Khan has one scene where he tells his crush, “pata hai, meri maa mere baare me kya kehti hai… ki jab main ulta shave karke nikalta hoon to main bahut dashing lagta hoon” (You know what my mother tells me.. that when I go out half-shaven I look very dashing). And the heroine is impressed! The Rajshri Films guys knew something that the stupid survey people did not probably, but I got a famous dialogue to fall back on and conceal my laziness. By the way of asking, out of the remaining 32% of the non-conforming women on the stubble issue, how many are Punjabis?